Go Eat At This Franchise! Select "Sign NDA." Profitable Breakfast & Lunch franchise in Placer County. Long-established and profitable Restaurant in a Family Friendly community in the Foothills just 20 minutes to Roseville! Excellent value in this Restaurant opportunity. Perfect for owner operator or family run operation. The menu features, deli style sandwiches, fresh salads, house made soups, fresh croissants, bagels and baked goods, fine espresso and coffees. The dining space has a large main dinning room and addl. dining area that could serve private functions as well, and a nice bright layout with plenty of seating. Owners spent over $100K improving the space including new flooring...This place is Clean too! Landlord recently poured new concrete sidewalks and paved the parking area 2018. 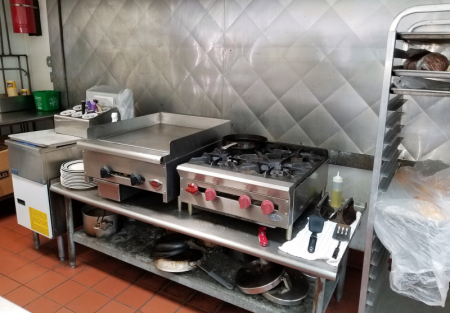 Large Full Kitchen with a Ansul Hood(not used since owners took over) and a 2nd Baking Hood, 2 Walk-In refrigerators and walk-in freezer, steamer, Hobart Mixer, Proofing Racks, new Double Fryer, new Range, New 24" flat grill, New espresso machine, Pastry Display Case, Ice Machine, POS and more. Dinner potential...if you want to increase sales further you have a full kitchen ready to serve hot menu items. Licensing fee is a very reasonable 3% which allows an owner to keep more of the profits. Sales 2017 over $250K annually. Sales were over $334K previous year 2016 , but the owners decided to take Sundays off...if you add that day back the sales will follow. Great Rent $2,500 for approx 2,318 sq. ft. with seating for approx 89. This is such a great deal that you could buy it just to have a place for your own concept ready to good and with Super Cheap Rent.